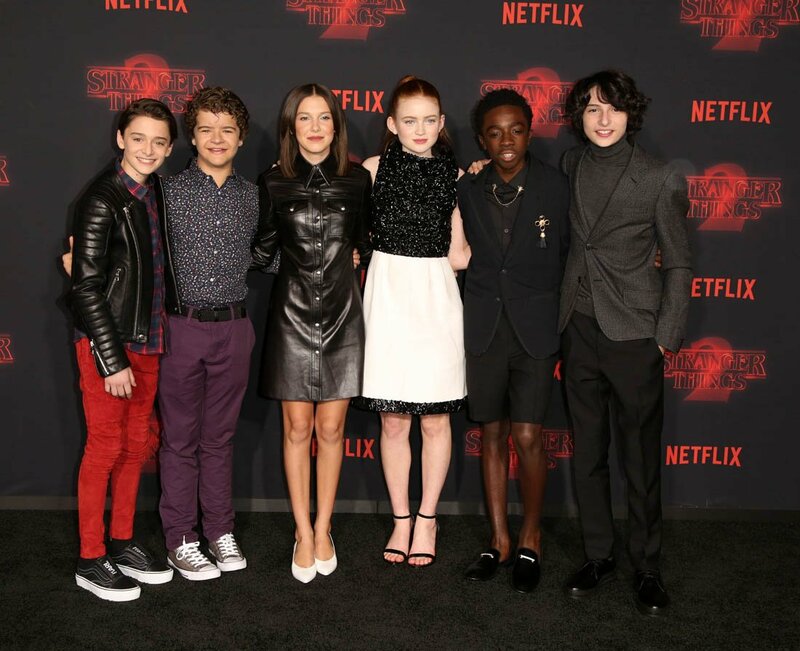 Last night was the premiere of Stranger Things Season 2. 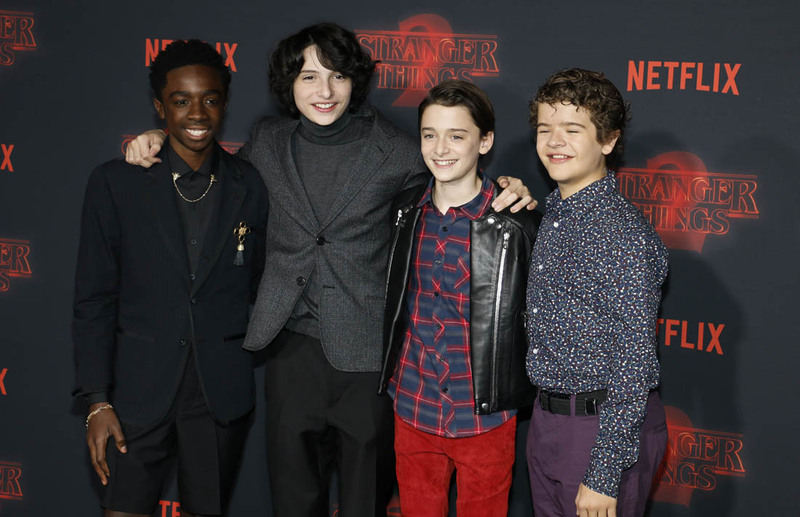 There were 5 young actors featured in Stranger Things: Gaten Matarazzo, Noah Schnapp, Caleb McLaughlin, Finn Wolfhard, and Millie Bobby Brown. 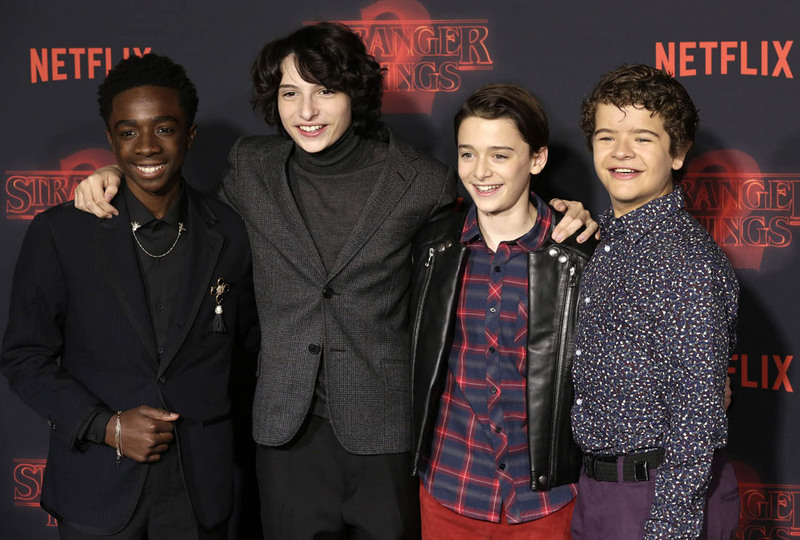 Millie Bobby Brown is the one who was nominated for an Emmy, who was seated apart from her costars at the Emmys. Who is the one most often invited to high profile events. The one who covers magazines. The one who’s closest to a household name. Duana first wrote about Millie Bobby Brown a year ago. That post was about MBB signing with a new agent. And her father demanding a $100K signing bonus. As Duana noted then, the priority seemed to be straight cash money and not finding a representative who could help her/his client develop a long and rewarding career. That said, cash money had to be the priority because Millie’s family sold everything to move to the US so that she could be an actor. She talked about the pressure of not getting “work”. She talked about the value of her “career”. They were almost bankrupt before Stranger Things happened. She was Eleven. Six months after that post, Duana wrote again about MBB having to cancel an appearance at a signing convention due to exhaustion, news she tearfully shared on Instagram in a post that has since been deleted. A few months later, I wrote about MBB’s interview with Drew Barrymore for Teen Vogue, in which she shares that her entire family is invested in her career. She’d just turned 13. She is still 13. 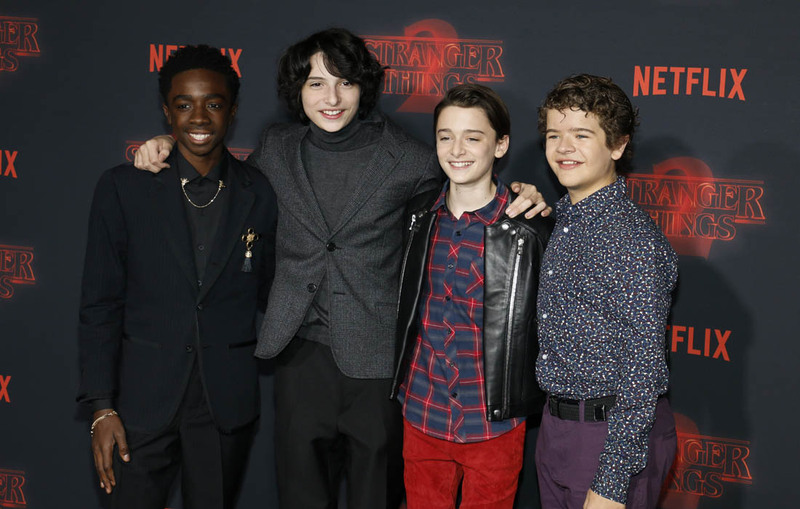 We repeat these details every time we talk about Millie Bobby Brown because Hollywood can make you forget. That’s the point of the lights and the glamour. They can distract you from the grit behind the curtain, from the cost of fame. It can be a terrible cost for those who are already adults when fame arrives. We have seen, often, the consequences of fame for those who become famous when they are far from adulthood. 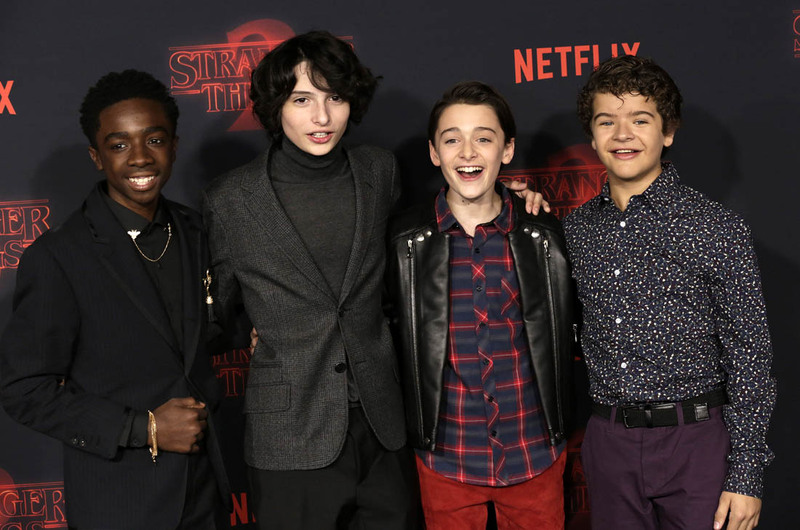 Perhaps time will prove that Millie Bobby Brown is an exception. Everyone wants to see that happen. Everyone wants to believe that it will happen to her – and that it won’t happen to her, even though being “exceptional” is often the problem in the first place. Millie looked different last night because she wore her hair down. We don’t often see her with her hair down. Most of the time, her hair is styled up, and it brings out her youth, it amplifies her age. With her hair down like this, styled into her face, the makeup seems heavier. Makeup always ages. Especially against the leather dress. 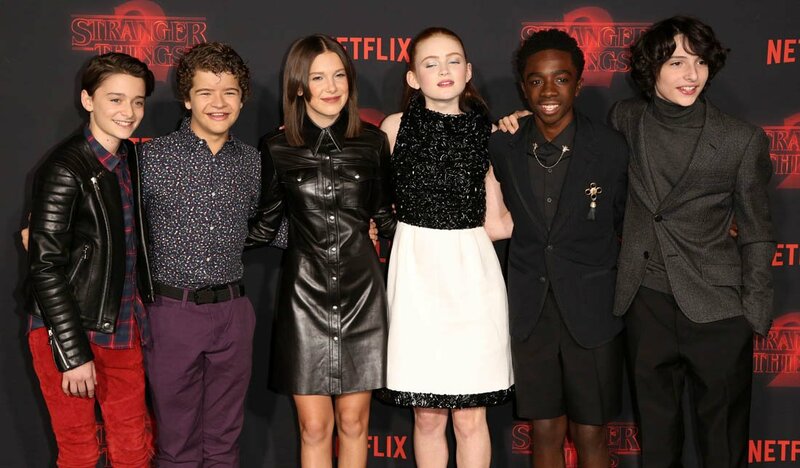 Standing in a line with her adolescent peers, Millie Bobby Brown is, once again, the outlier. Over the last three weeks, Hollywood has been under scrutiny specifically for how the business treats women. Many people are hoping that this will lead to change, that finally Hollywood will be forced to confront the systems in place that put women at a disadvantage and protect a future generation. But will it change enough to protect those in the present?